If you want to compare the specs of two phones, sites like GSMArena is usually where most people go to. However, that might be changing soon. 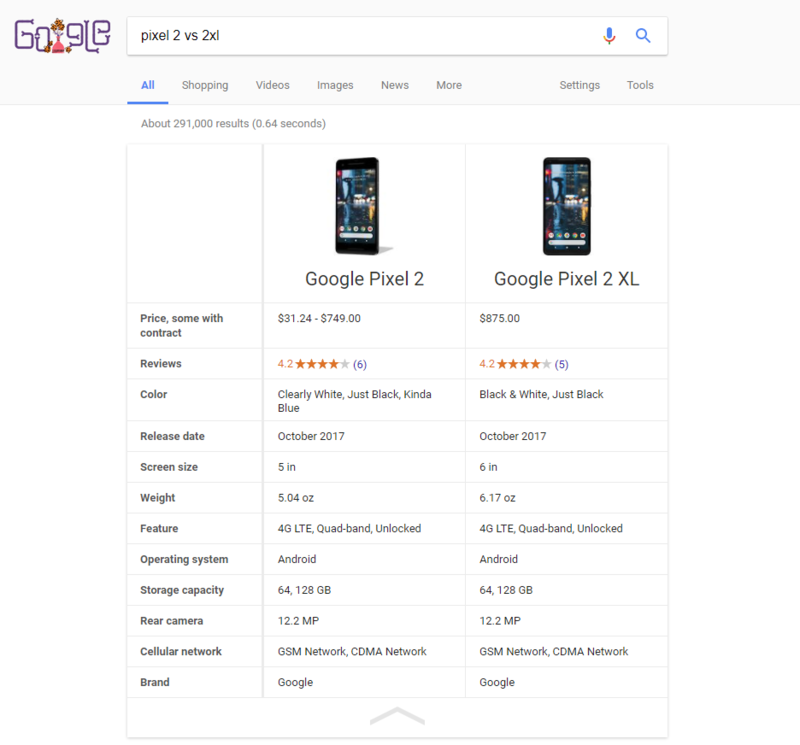 A new feature coming to Google search will now show a comparison when you search for two phones and it detects “vs” in the search query. 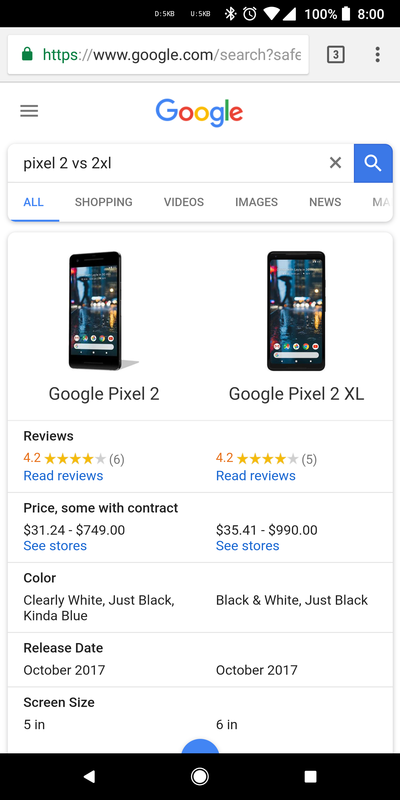 A few users have reported that when they searched for two devices with “vs” in the query, they got presented with a comparison table highlighting the specs of both phones. The example shown below is that of the Pixel 2 and the Pixel 2 XL. The search result first shows a few rows which can then be expanded after selecting the blue drop-down button. There is even a “Highlight differences” button. The search isn’t perfect as someone detected an error in the comparison table. A commenter (Nick Cipriani) posted a screenshot on the AndroidPolice article that shows that the Pixel 2 XL has a Micro-USB port instead of a USB-C port.